“I Was In An Accident. Pursuing maximum recovery for an injury will be tough for you and your loved ones if you do it alone, but the insurance company will meet its match with The Lowenberg Law Firm on your side. For nearly two decades, our Houston personal injury attorneys have provided trusted legal guidance for personal injury victims throughout Texas. The process of filing an insurance claim or pursuing a personal injury lawsuit can be challenging if you have never been through it before. Not only that, but we are aware of what you, as a victim, might face in the aftermath of your accident. Because of that, we know what it takes to get through it and come out victorious on the other side. The right personal injury attorney should make you feel comfortable calling them anytime you need them, and confident that you have someone to turn to during difficult times. At The Lowenberg Law Firm, we provide that for our clients and more. Have you or a loved one been injured on-the-road? Contact The Lowenberg Law Firm for a free consultation. Call (832) 241-6000 today or contact us online. Our approach is extensive. We meet with our clients’ doctors. We meet with police officers. We meet with eye witnesses. We recreate scenes of collisions. In short, we devote extensive amounts of time and resources to creating a case that effectively fights for maximum compensation on your behalf. Many feel like they are going through the worst time in their life when they first turn to our firm, but we have repeatedly succeeded in turning things around for the better for our clients. Our accomplishments continuously confirm that our legal efforts are not in vain. Our founding legal duo has successfully presented cases to courts on a state and federal level, including The State Bar of Texas to the United States Supreme Court. 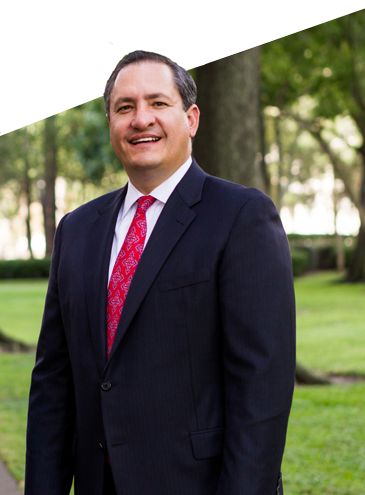 Mike has also been recognized as a Texas Rising Stars by Super Lawyers®. Every year, the Lowenberg Law Firm offers a $1,000 scholarship to students pursuing their post-secondary education at a college or trade school. We believe that by encouraging students to advance their education beyond high school we can improve communities as these individuals enter the workforce, better educated and better prepared to give back to their own community. Write an essay at least 750 words in length and no more than 1,000 words on the specified topic (see below). Submit the essay in MS Word, Adobe PDF, or Plain Text format to scholarships “@” thetexastriallawyers.com prior to Midnight, Pacific Time, November 1st each year. Essay Topic: As you look ahead to finishing school and entering your chosen profession, what is it that will set you apart from others in the same field? Other questions to consider as you write: What will you do to bring unique value to your work? What will you do to prevent being just mediocre in your vocation? Essays will be judged on many factors including grammar and punctuation, structure, creativity, and substance. The Lowenberg Law Firm Scholarship can only be used for school tuition and related expenses. A check for $1,000 will be made payable directly to the award recipient’s educational institution. It takes time to reach a resolution when you have a personal injury case on your hands. You want to make sure that you have a devoted personal injury attorney on your side, willing to stick with you the entire way through. Trust Lowenberg Law Firm to steer your case in the right direction and work diligently towards placing you on the road to recovery.